The European Union plans to make some digital service providers pay tax in the countries where they do business. The move that will affect not just Google and Facebook but major European companies too -- and perhaps make it easier for startups to enter the market. There are two parts to the proposal: A quick fix, under which businesses will pay tax on their revenue from certain digital activities that mostly escape taxation, accompanied by a broader reform of the business taxation to ensure that tax is paid where profit is generated, rather than where accountants make it appear. Why is the EU introducing a digital tax? Digital businesses pay a lower rate of tax on their profit than traditional businesses because the virtual nature of what they sell allows them to shop around different jurisdictions for the lowest corporate tax rate. The difference is huge: The European Commission, the EU’s executive arm, estimates that digital businesses pay an effective tax rate on their profit of just 9.5 percent, compared to 23.2 percent for other businesses. That, it says, is distorting markets and, as European economies increasingly move online, eroding EU member states’ tax bases, according to the Commission. What exactly is the EU’s digital tax proposal? There are actually two proposals, not one. The first is a quick fix, to allow EU member states to impose a tax on revenue from certain online activities that are hard to tax under current legislation. The Commission suggests allowing countries to tax revenue from selling online advertising space or data generated from user-provided information, and from acting as intermediaries such as in the management of online marketplaces. The tax would only apply to companies with worldwide revenue of over €750 million (US$925 million) and EU revenue of at least €50 million. This interim tax rate on revenue would be far lower than the general tax rate on company profit. 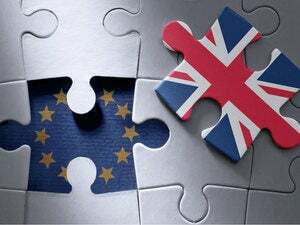 The Commission estimates that it could bring in €5 billion a year for member states if set at a rate of 3 percent. The second proposal is to allow member states to tax profits from such digital activities even if a company does not have a physical presence in the country. The internet makes it possible for companies like Google to deliver ads worldwide, for example, whereas pre-internet they would have had to own TV networks or printing presses, or sold magazines through wholesalers or kiosks to have the same reach. What should matter, as far as the Commission is concerned, is not where the salesperson (or webserver) is located, but where the users or customers are. So it suggests a member state should be able to tax a company’s profit generated on its territory, as long as the company concerned exceeds €7 million in revenue in that country, or has more than 100,000 users there, or signs more than 3,000 business contracts there in any given tax year. Will my business be affected by the EU’s digital tax plan? The Commission certainly hopes so. 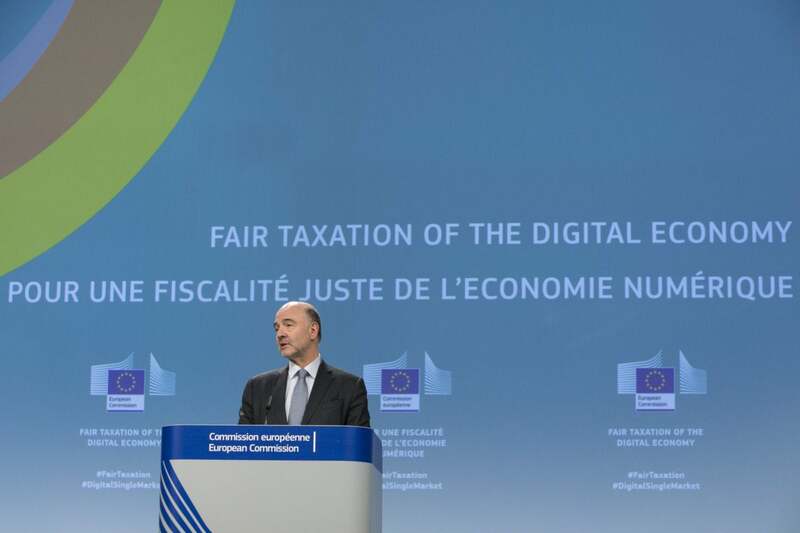 It sees the ability of a few digital giants -- 120 to 150 of them, according to EU Tax Commissioner Pierre Moscovici -- to move their profit to low tax regimes as a distortion of competition. These companies should be required to pay their fair share, which in turn will make it easier for smaller companies, or those more dependent on physical infrastructure, to compete on the same terms, according to Moscovici. Digital start-up and scale-up companies in particular should welcome the legislation as it will allow them to compete on a more equal basis with market incumbents, and will cost them nothing -- at least until they reach the same size! Is the EU’s digital tax anti-American? It’s unfortunate that the Commission revealed its plans shortly after U.S. President Donald Trump opened a trade war targeting exports from the EU, among other places, with new tariffs. But the proposal had been under development for months, and was unrelated to current events, Moscovici said at its launch. In any case, while half of the companies likely to be affected are American, half of them are not, he said. Around one-third of them are EU companies. Is this a GAFA tax? GAFA is an abbreviation for Google, Apple, Facebook and Amazon.com, but it’s also used by some to refer to the kinds of digital businesses the new digital tax plan is aimed at. Moscovici said the proposal isn’t a GAFA tax -- and with some justification, as the four GAFA companies make up just 3 percent of the 120 to 150 businesses he expects to pay under the proposal. Well, it must be discriminating against someone? The interim tax on revenue is discriminating against digital companies in general, according to the Computer & Communications Industry Association, a U.S.-based lobby group that has Amazon and Google among its members. That's because, CCIA says, digital companies pay the same effective tax rate as other companies -- a position the Commission doesn't agree with. When will the EU digital tax take effect? Good question. For something to become law across the EU, three bodies have to agree: The directly elected European Parliament, the European Commission, and the Council of the EU, which is composed of ministers from the EU's member states. The Parliament has already shown it is in favor with its comments on another legislative package, the Common Consolidated Corporate Tax Base. The Commission made its proposals on March 21, and the Council was expected to discuss the matter the following day. Several EU member states that have already made unilateral proposals to tax digital businesses can be expected to support the proposal. Moscovici hopes the interim tax on revenue will be agreed this year -- and that it won’t be in place for long before being superseded by the reform of taxation of digital services profits. There’s a caveat, though: Even when it does enter force, the new tax proposal won’t allow an EU member state to tax profits made by a company based in a country with which the member state has a double taxation agreement. That’s because tax treaties are a matter of national sovereignty and can’t be overridden by EU law. The Commission is recommending that member states revise their double taxation agreements so as to benefit from the new tax proposals when they enter force. Talking of double taxation, won’t this proposal mean companies have to pay tax twice? There’s no risk of companies being forced to pay tax on profits twice, where they’re made, and where they’re reported, under the new proposals. That’s because where two countries have a double taxation agreement, companies will be able to deduct tax paid in one from their tax bill in the other -- just as they can with whatever tax they’re paying today.